The only film festival in Europe curated by 15–18 year-olds has announced their 2016 programme. 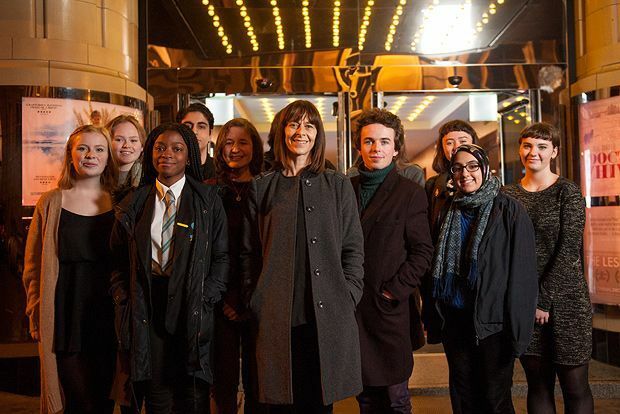 Glasgow Youth Film Festival opens Fri 12 Feb, the week before Glasgow Film Festival kicks off, and this year the four day programme has been designed to showcase young, first-time feature filmmakers from across the world. GYFF opens with Puritan supernatural chiller The Witch. Starring Kate Dickie of Game of Thrones, Robert Eggers' directorial debut won the Directing Award at the 2015 Sundance Festival and the First Feature Competition at this year's London Film Festival. The closing film is Tim Burton's classic Edward Scissorhands, screened at a specially created set in converted church St Luke's. The progamme offers a slew of Scottish and UK premieres depicting contemporary teenage life. Highlights include; Kill Me Please, set in a Rio de Janeiro high school fifteen-year-old Bia develops a morbid obsession with a local serial killer; unconventional coming-of-age drama Nena, where a girl's first experience of love is rocked her father's attempted suicide; supernatural drama When Marnie Was There, the final film made by legendary Japanese animation house Studio Ghibli featuring a young girl fascinated by the potential inhabitant of an abandoned mansion; and Der Nachtmahr, set in Berlin's rave scene a teenager forms a bond with a strange monster, the manifestation of her slow mental breakdown. The festival is also the chance to see 1989's goofy time travelling comedy Bill & Ted's Excellent Adventure at the GYFF Late Night Classic, the Scottish premiere of Spike Lee protégé Michael J Larnell's debut feature film Cronies about the complexities of male friendship and the UK theatrical premiere of The Final Girls. In director Todd Strauss-Schulson’s homage to the teen slasher genre a group of teenagers are pulled into a classic cult film where they must use their horror movie knowledge to help them survive. Glasgow Youth Film Festival also offers talks and workshops to help young people considering careers in film and television. This year’s programme includes a discussion with casting director Lenny Mullan (Neds, The Magdalene Sisters) and actor Conor McCarron (Neds, Catch Me Daddy), a documentary film panel, a class in special effects makeup and prosthetics by industry pioneers SFX makeup (Harry Potter, Doctor Who), a short filmmaking workshop, and a programme of Ted Talks. Glasgow Youth Film Festival, various venues, Fri 12–Mon 15 Feb. Tickets on sale Thursday 10 December.